Australian actress Marta Dusseldorp (A Place to Call Home, Janet King) is chairing this year’s Lexus Short Film Festival at the Sydney Film Festival, which gives emerging filmmakers $50 000 to make their next short. “Lexus Australia strongly supports initiatives that unearth progressive creative talent. Through the Fellowship, we aim to encourage emerging Australian filmmakers to explore new ideas, refine their craft and keep their art form moving forward,” said Vin Naidoo, Senior Manager, Sales & Marketing, Lexus Australia. The World Premieres of the four short films created by the recipients of the 2017 Fellowship films: The Coin by Thomas Baricevic, Fitting by Emily Avila, Kaya by Lara Köse, and My Boy Oleg by Goran Stolevski will screen at Dendy Opera Quays on Tuesday 12 June at 6:30pm (during the Festival, 6-17 June). The four filmmakers each received a $50,000 grant to make their short film, after being selected by a jury chaired by renowned Australian actor David Wenham at the Sydney Film Festival last year. “As a new director, the Lexus Australia Short Film Fellowship was an extraordinary gift. It afforded me the means to make my second short film, and the confidence to pursue directing seriously. It has truly set my directing career in motion and will have a lasting impact on my trajectory as a filmmaker,” said filmmaker Emily Avila (Fitting). “The Fellowship has given me an incredible opportunity to make a film in a landscape where funding for short films is a scarcity. I’m hoping the screening will give the film a boost both here in Australia and internationally,” said filmmaker Thomas Baricevic (The Coin). “The Fellowship has given me the chance to begin the journey of exploring my Alevi heritage through film, and I’m so grateful for that,” said filmmaker Lara Köse (Kaya). “The Fellowship has been a wonderful experience, a singular opportunity to hone and expand my visual style. As a result, we’ve created a story with a protagonist that’s vivid, gripping and like no one else we’ve seen on screen before,” said filmmaker Goran Stolevski (My Boy Oleg). 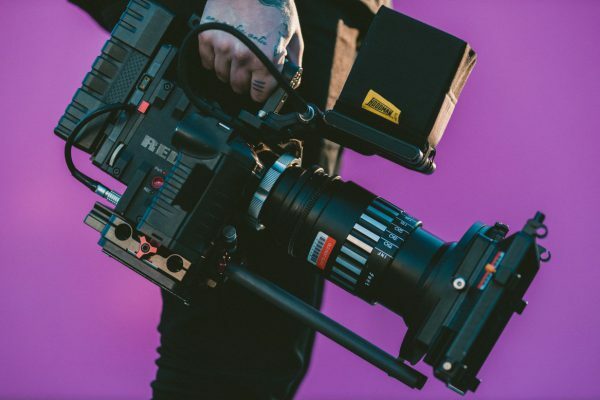 The Lexus Australia Short Film Fellowship allows young filmmakers to be assessed by key industry figures and premiere their work at Sydney Film Festival. The Fellowship aims to develop and foster young talent and ultimately contribute to the longevity of the medium, and the Australian filmmaking industry. A neo-urban western adventure, The Coin is the story of Suli, a supermarket trolley collector and his quest to find a rare lost coin, which he hopes will bring him a better life. • Thomas Baricevic is a writer-director of shorts, documentaries and music videos. He was a jury member for the AACTA Awards and co-founded two monthly short film festivals. Inside a lingerie fitting room, two strangers – a customer who has recently undergone a mastectomy and a bra fitter – are bound on a mission to find a bra that works. • Emily Avila’s first short film, In a Cane Field (2016), premiered at the Brisbane Asia Pacific Film Festival. Fitting is her second short film. In a remote Turkish village, an ostracised orphan girl seeks out the forbidden Alevi community in her quest for freedom. • Lara Köse is a graduate of Swinburne University and Victorian College of the Arts. Her graduate short film, Crush (2015) was nominated for an Australian Screen Editors award. A festival performance brings a Ukrainian actress to Melbourne with her toddler. But her off stage antics reveal the true nature of her visit: to find her child’s father. • Goran Stolevski is an award-winning director. You Deserve Everything (2016) won the Rouben Mamoulian Award for Best Director Award at SFF and Would You Look at Her (screening in this year’s SFF) won Best International Short at Sundance. Buy tickets to this year’s Fellowship recipients here. Sydney Film Festival runs 6 – 17 June 2018, tickets are on sale now. Please call 1300 733 733 or visit sff.org.au for more information.